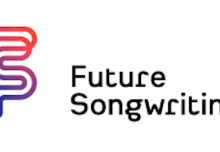 What’s it like to teach in a Musical Futures Champion School? Sarah Pappin from Torquay Academy explains. From the moment you enter through the double doors, it instantly hits you in the face – the music department is very different to the rest of the school. Music and students spill out onto the corridor, armed with all manor of instruments. It’s loud, very loud and there is a distinct buzz of excitement in the air. A buzz that is unique only to the music department. Leads and amps sprawl across the corridor like spaghetti, students huddle together, lyrics in hand. Chord sheets litter the floor and, for a fleeting moment, it could be misconstrued as chaos. Every child is completely immersed in what they are doing, which is differentiated on a student-specific level. The challenge is high but the students like this. They are directing their own learning, either through a tutorial on their phone/iPad/iMac or they are teaching other students in the room. They are excited, the rate of progress is remarkable, and they are desperate to learn more. They are happy, they are proud and desperate to show off the new skills they have learnt. They have self-confidence, they have self-belief and they have a determination within them that anything is possible. This is Music at Torquay Academy. This is Musical Futures. Musical Futures absolutely underpins every single millimetre of the music department at Torquay Academy. It is in the heart and soul of every student and each member of staff, who quite simply could not imagine teaching music any other way. It is what makes our music department the vibrant hub of our school, with the largest uptake numbers for KS4. 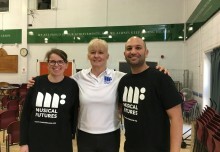 As a Musical Futures Champion School, we are privileged to provide training and share our practice with music educators and institutions throughout the South West, enabling Musical Futures to positively change the lives of thousands more young people.